The Halloween season has officially begun, everybody. And I am absolutely enamored with this new statue on Buena Vista Street in DCA. The Headless Horseman is one of a rare few truly iconic legends that America has spawned in its brief, 200-year history. And I think this display does great justice to the character. Also, as a funny little side note, I first saw this statue at night, and the lights on it are so strong that I thought it was actually green (it’s black). 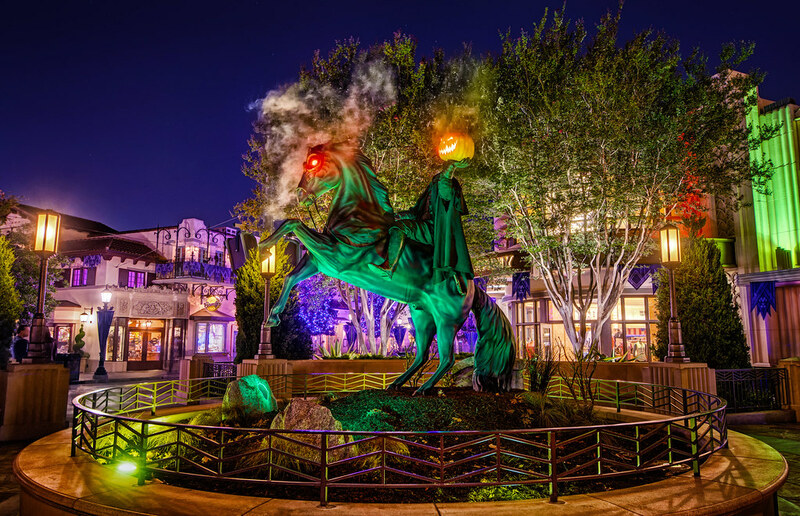 This entry was posted in Buena Vista Street and tagged creepy, Halloween, haunted, HDR, Headless Horseman, horse, Ichabod Crane, pumpkin, scary, Sleepy Hollow, spooky, statue. Bookmark the permalink.